ONLY ONE 4th Axis is required to get the benefits of a Horizontal Machining Center on a Vertical Machining Center. 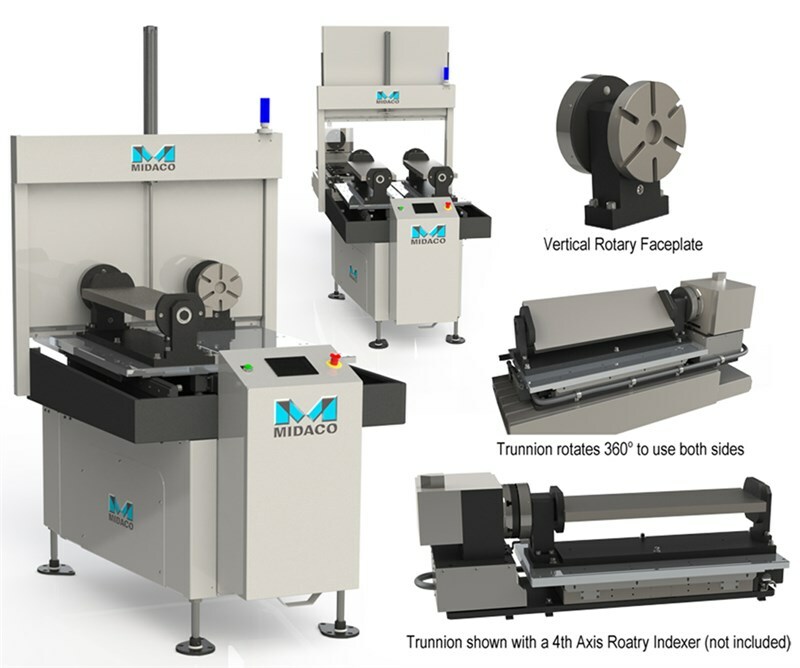 Increase the 4th Axis productivity by adding our Trunnion System and Vertical Rotary Faceplate to an Automatic Pallet Changer on a VMC equipped with a Rotary Indexer. See how MIDACO's NEW Trunnion System can make your VMC more versatile at HAAS Tec 2017. HAAS Automation, 2800 Sturgis Rd., Oxnard CA, October 10-13.